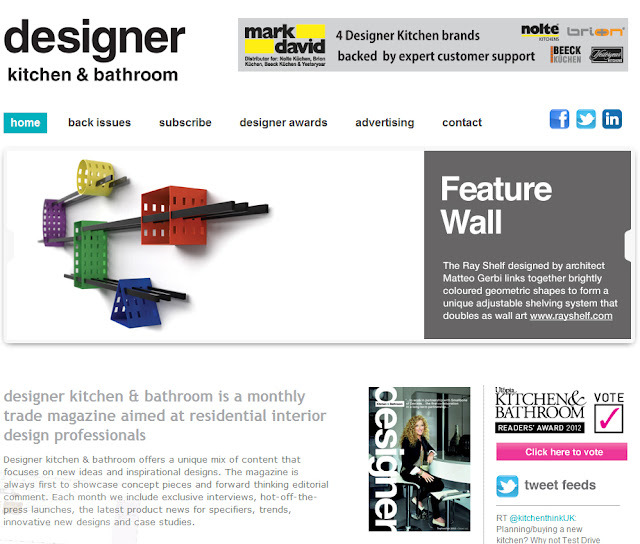 This month Ray Shelf is feature on DESIGNER KITCHEN & BATHROOM September 2012 Issue. Here the screen shot from the website. Look forward to seeing the magazine.